05/07/2017 — According to the Massachusetts State Police, at approximately 8 p.m. on May 7, 2017, a Massachusetts State Police cruiser, occupied by a trooper on a detail protecting a road construction crew, was struck by a drunk driver. The crash occurred at a work zone on Route 95 northbound at Exit 32 in Burlington. 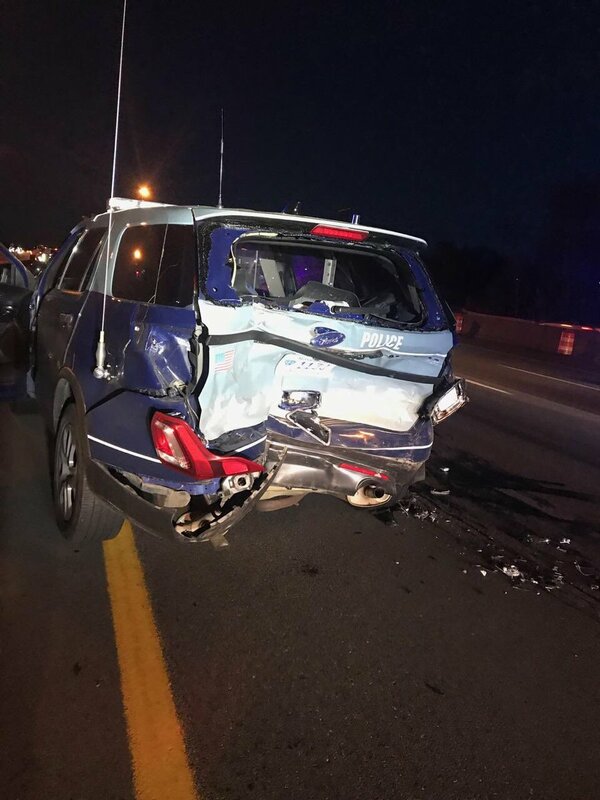 The trooper in the cruiser, which was rear-ended, suffered a leg injury. That did not stop him from getting out of the damaged cruiser and, when the driver who hit him tried to run away, pursuing the suspect on foot. The trooper in the cruiser, which was rear-ended, suffered a leg injury. That did not stop him from getting out of the damaged cruiser and, when the driver who hit him tried to run away, pursuing the suspect on foot. The trooper caught the suspect and took him into custody. The trooper was transported to Lahey Clinic in Burlington with a lower body injury. The operator was transported to the State Police Barracks in Concord, where he is being booked for operating under the influence of liquor. He is identified as ROBERT M. CAMBRIA, 55, of Andover. 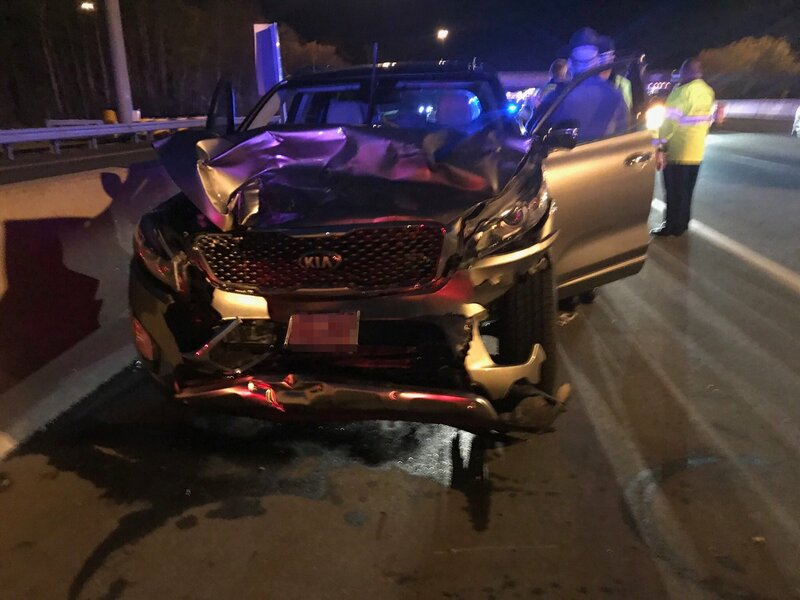 CAMBRIA was operating 2016 Kia Sorento, which sustained heavy front-end damage. The trooper was in a fully marked Ford police-model utility vehicle with emergency lights activated. The cruiser sustained heavy rear-end damage. Kentucky: Illegal Alien Jose Gomez charged with DUI murder of Martin B. Showalter. This entry was posted in Arrest bookings, DWI arrest photos, DWI Arrests by State, DWI crash photos, injury or death, Police officers injured due to being hit by or in crashes pursuing drunk drivers and tagged Ford police-model utility vehicle, ROBERT M. CAMBRIA DUI when he hit police car, State Police Barracks in Concord. Bookmark the permalink.